Failing to proactively match callers to an agent prepared to handle their question or concern is just one way that legacy, on-premise contact centers are falling down on the job. They also generally aren’t equipped to let agents seamlessly communicate with clients across different channels – Web, SMS, social media, chat, and voice. Neither can they give agents integrated data about past interactions that could make it easier for them to work through a caller’s latest request. Such limitations can lead to experiences that impact customers’ brand loyalty and drive churn. Companies recognize this, of course, and they are also starting to recognize that cloud contact centers offer an opportunity to address their customer interaction difficulties. That understanding plays a role in why the market is on a growth trajectory, as we noted in our report that describes the role that cloud contact center analytics has in driving customer satisfaction and business insight. 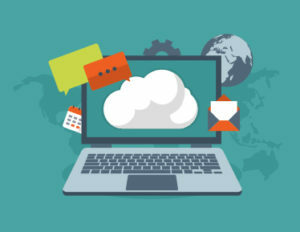 Capabilities such as intelligent call routing, integrated support for different forms of customer engagement, and easy access to customers’ contact center history all draw more attention to cloud contact center technology. Another attention-getter is the opportunity to embrace cloud contact centers as part of a global UCaaS cloud solution. There are many factors behind that, such as being able to reap the advantages of fast deployment, decreased maintenance headaches, low total cost of ownership, and speedy access to new features across business’ communications and collaboration spectrum as well as across their global footprints. Perhaps even more important, though, are the added customer experience advantages created by the merger of UCaaS and cloud contact center solutions. When the two are seamlessly integrated, collaboration is strengthened: Agents with real-time voice, chat and video access to subject matter experts throughout the organization can increase speed of resolution for customer issues. That’s no small thing. Consumer satisfaction with contact centers is at an all-time low, according to CFI Group’s Contact Center Satisfaction Index 2016. The CCSI of 68 on a 0 to 100-point scale represents a four-point slide from 72 in 2015, CFI says, while noting that the drop is largely driven by the difficulties contact centers are experiencing in quickly and effectively solving customer issues. Just 52-percent of contacts were resolved on the first contact, down 6 percent from 2015. The cloud contact center–UcaaS match also opens up other call center service doors. Experts have pointed out the opportunity to expand easily by upgrading any extension to an agent extension, for example, and for agents to leverage common UC functions such as screen shares to aid in customer support. Masergy recognizes the value for businesses in uniting cloud UC and contact center capabilities. Cloud contact center functionalities like those we’ve discussed here are part of our feature-rich UCaaS solution, and they’re further enhanced by our ability to deliver them on a global scale with a virtually limitless numbers of users. (One early customer has 6,000 agents onboard already!). Additionally, we aim to make the transition easier by providing services to simplify the migration from your legacy contact center system to the cloud, and to integrate with your existing CRM system so that your call center agents can continue to use the interface they’re comfortable with to support customers and generate reports. We’re excited about the opportunities for your contact center. Learn more about Masergy’s Cloud Contact Center. 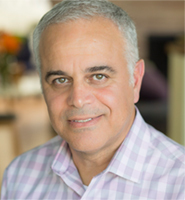 Dean Manzoori is Vice President of Product Management for UCaaS at Masergy Communications. He brings over 25 years of IT experience in a variety of roles including operational management, strategic planning and business development. Dean holds a BSEE from California State University, Long Beach.